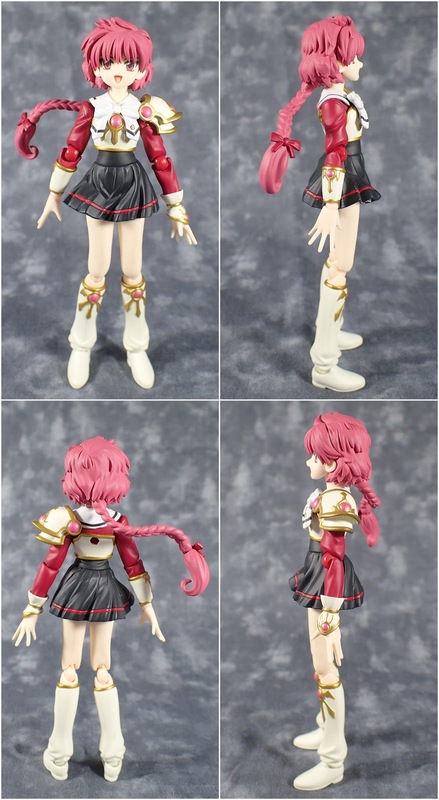 Hikaru is one of the three protagonists from the series Magic Knight Rayearth. She represents the element of Fire and is somewhat of a tomboy. Brave and strong she is always ready encourage her friends. Although I've not watched Rayearch I decided to pick Hikaru up on account of her design - I love her colour scheme and the half amour half school girl look. My only complaint is that she is that her lower legs don't stand very straight so you have to be careful how you pose her because she has a tendency to look knock kneed. Her articulation is what you would expect from figma with added articulation for her hair. You can get her in pretty much any pose. 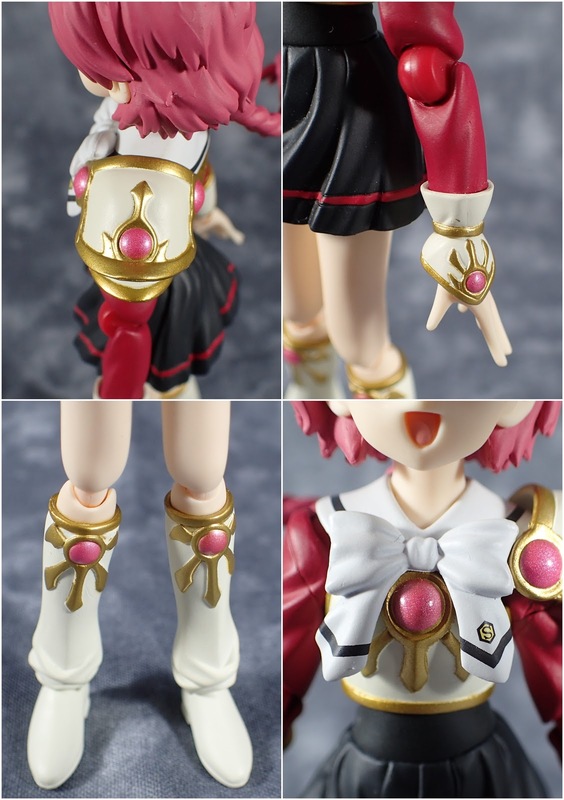 Now one really disappointing aspect (especially considering the continued price increases of figma) is her paint work. Typically figma a rather good with their paint work but maybe I just lucked out as mine has numerous places where they did not colour within the lines. The most noticeable is on the sword where the handle is a complete different shade than the rest of the hilt and there is a paint flaw on the blade. Also on her armour, her shoulder guard is messy and her sleeve cuff also has a messy fleck of paint. Now that I have a very good macro settings (on my new camera) these kind of mistakes stick out so much! 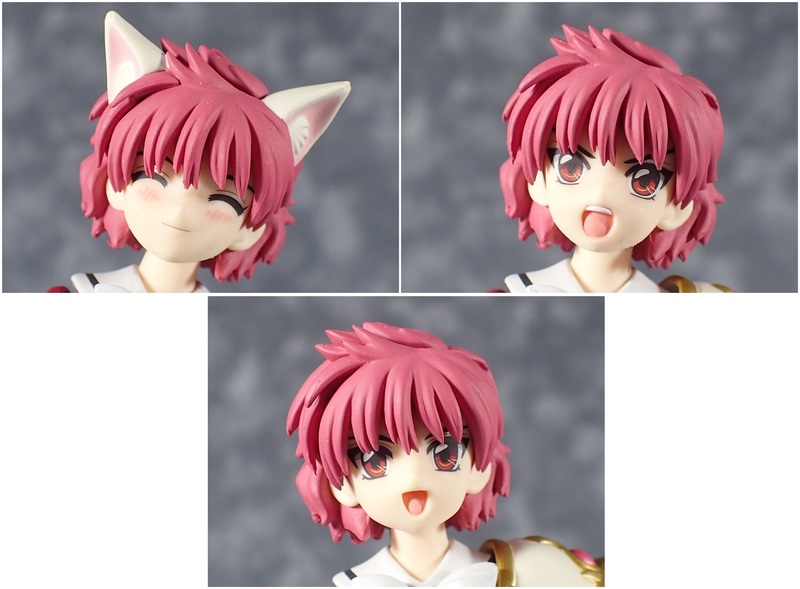 As for accessories she comes with three face pieces, a regular happy expressions, a super happy expression, and a battle expression. She also has an extra hair piece with cat ears - which I guess has something to do with her personality. 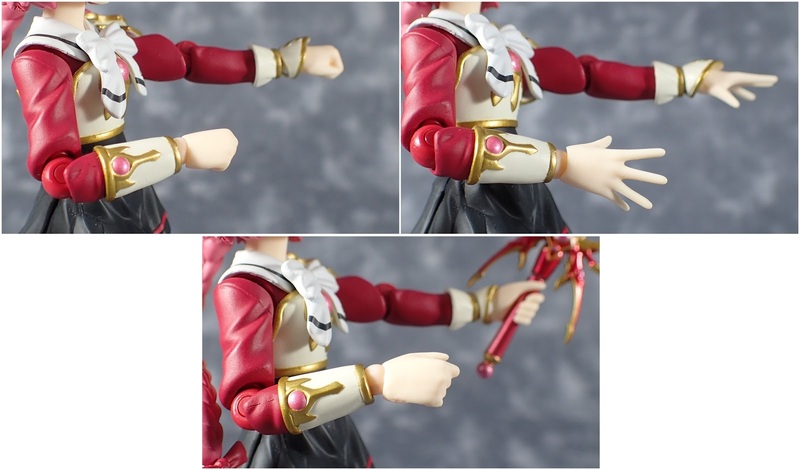 For hands you get a pair of closed fists, a pair of open hands, and a pair of hands for holding items. 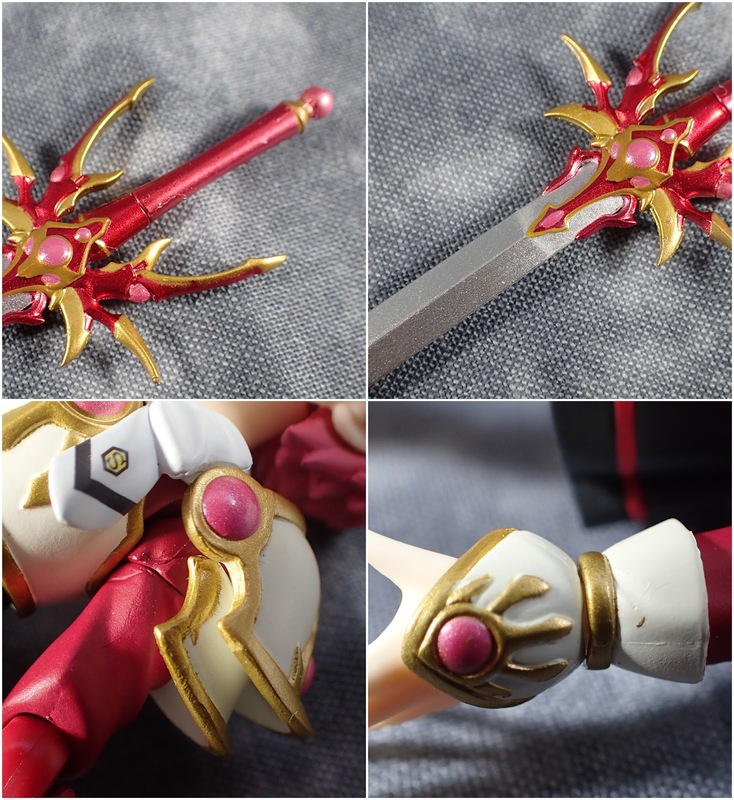 And lastly is her sword whose handle unplugs so that you can easily get her to hold it. Now my final thoughts/recommendation is only buy if you are a huge fan of the character - it may have just been me but the errors in her paint work in combination with the sparse accessories at her price - really not worth it. Now don't get me wrong as I do like her and I think she will be a good addition to my collection however the quality at the price point is disappointing. I think I have commented in previous reviews that on account of the price increases and some drop in quality controls I am finding that I really need to weigh up whether I want a figure or not. I find it sad as after gaining a monopoly (pretty much) on the small articulated figure market they now appear to be milking it.